An overlooked gem found within Windows 10 is a Linux compatible interface for running 64-bit Linux binary executables. Installing this subsystem is like having your own 64-bit Linux operating system, running right on top of windows! Please note this tutorial is using the Fall Creators updated version of Windows x64. 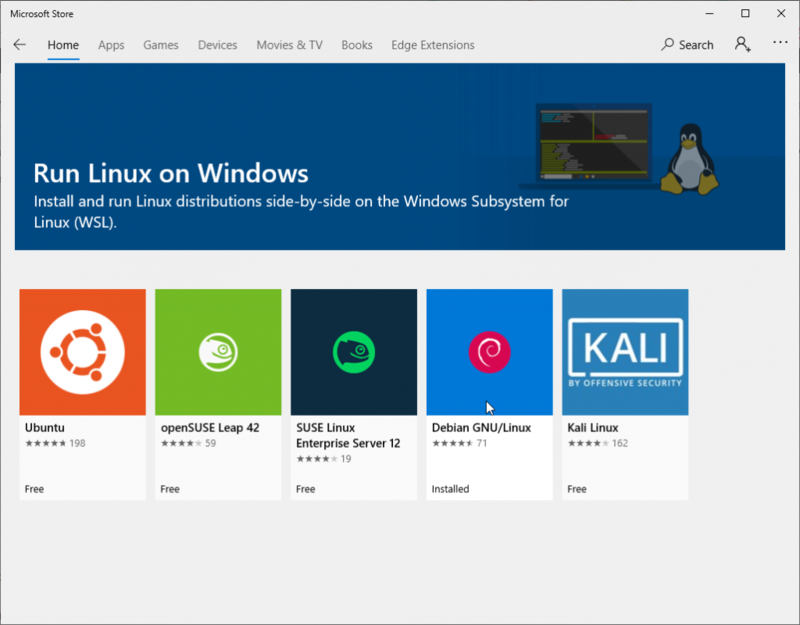 Microsoft has recently added the Windows subsystem to their store. We will begin by downloading the Linux distribution we wish to use. 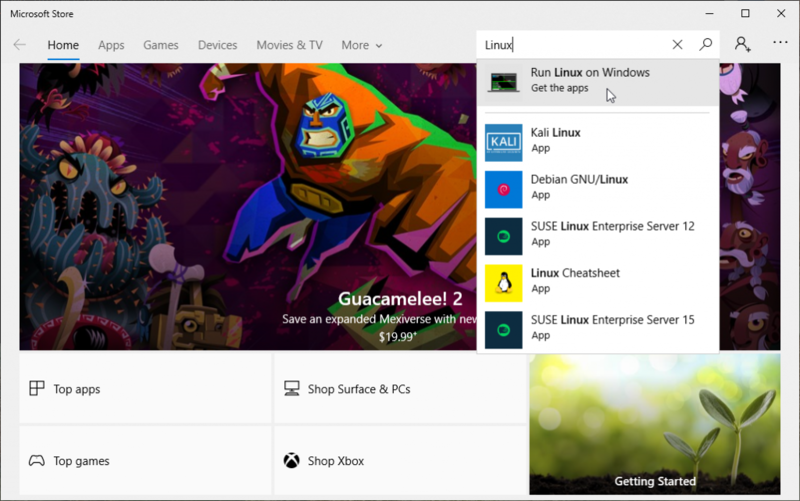 Use the Windows search box in the bottom left hand corner of your screen and enter store. The best match for Microsoft Store should pop up. Select the Microsoft Store icon. 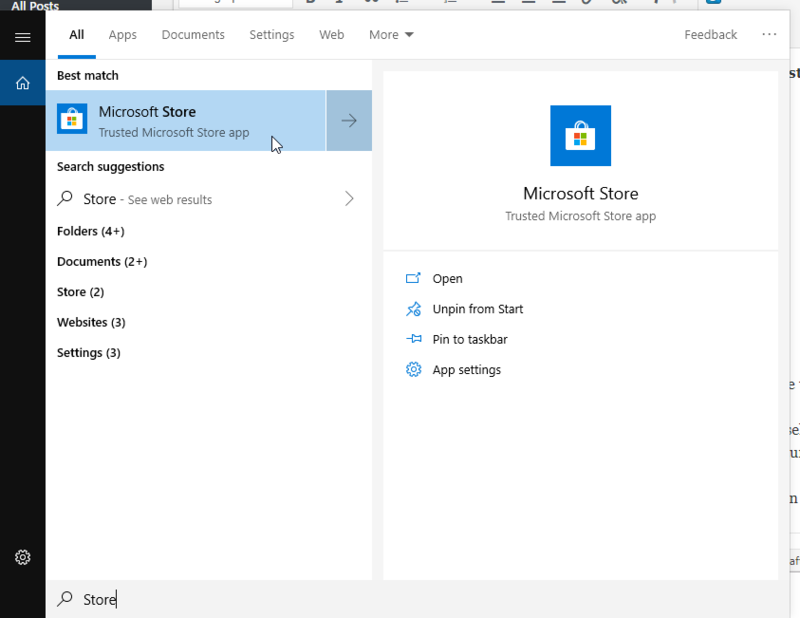 When Windows Store is opened you can navigate over to the magnifying glass in the top right hand corner of the screen. Enter the phrase Linux into the search bar. Then select Run Linux on Windows. A message on the screen titled “Linux on Windows?” should appear and you can select Get the apps. Inside, a list of different Linux Distributions will appear before you. In this current tutorial we will be using Debian, although you easily use any others while following this tutorial. Once Debian is selected, creating your subsystem is as easy as clicking the Debian icon to install. After selecting a distribution, you will be redirected to a page where you can select Get. You can install across multiple devices, in this case I have chosen not to. Your download should begin automatically. If not click Install. Once your installation has completed you can now access the Subsystem for Linux using the terminal provided by Windows. Let’s start up our Linux server! 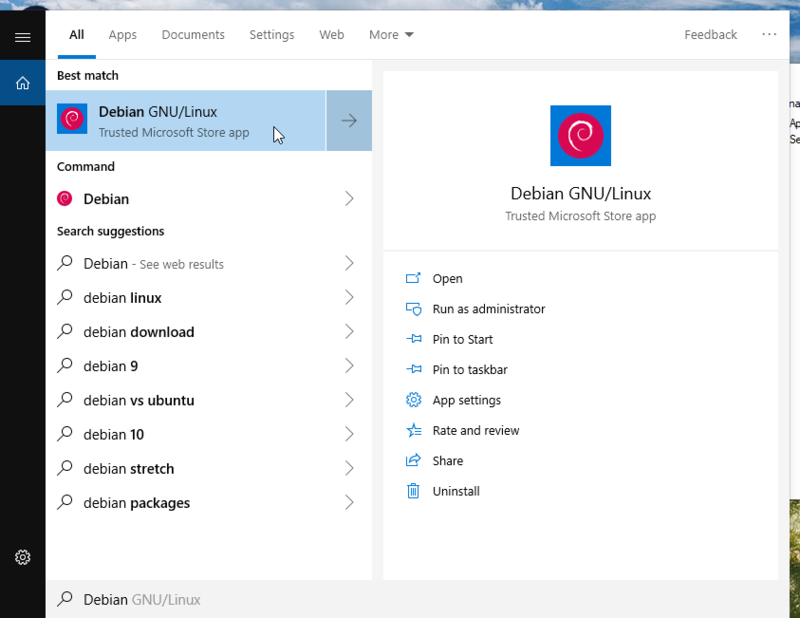 Go to the Search box inside of your taskbar and type in Debian. 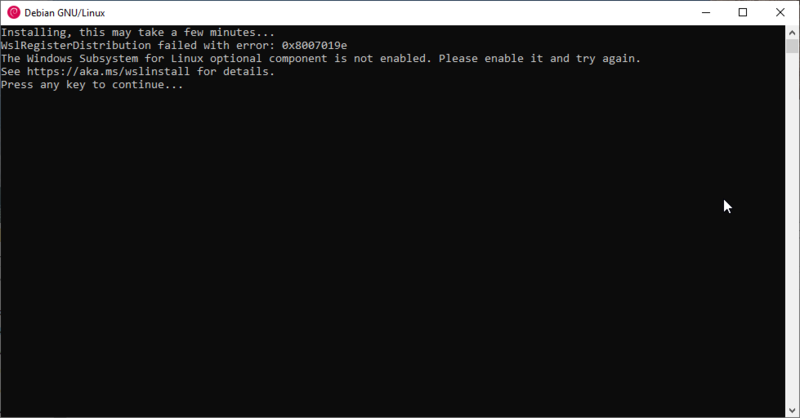 Currently, I do not have the Windows Subsystem for Linux feature enabled. If you get this error message, continue following the steps to resolve it. Go to the search box and type Powershell. 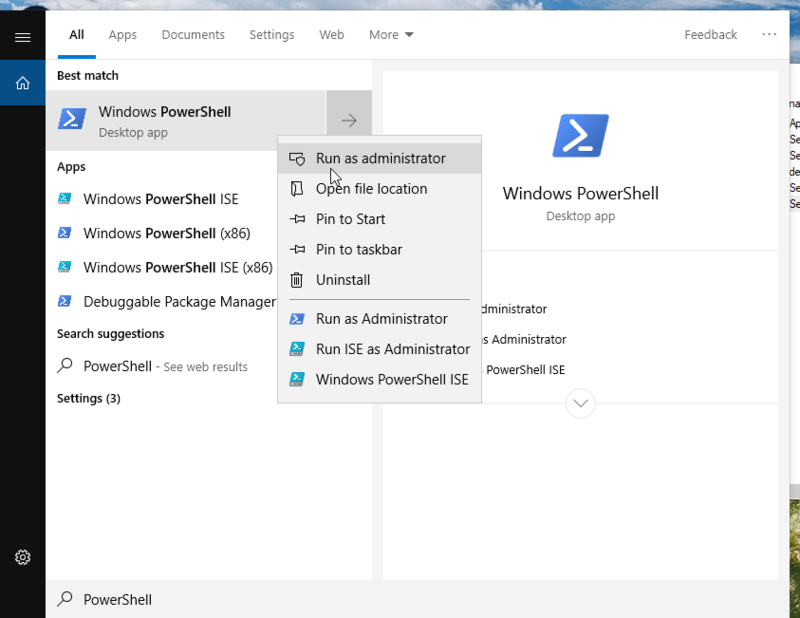 Then right click Windows PowerShell and select Run as administrator. 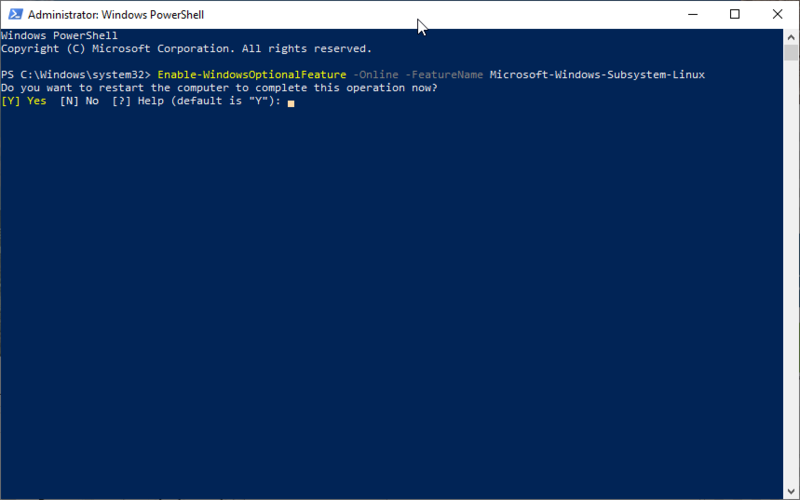 Once you have Windows Powershell open, enter the following command. You will then be prompted to restart your computer. Enter y to continue. 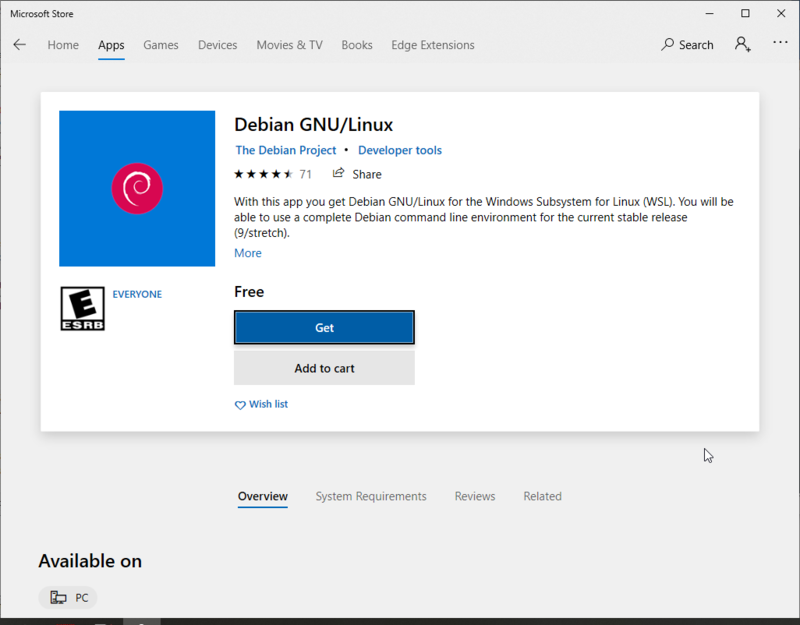 After restarting your computer, go to your search button in the taskbar, type Debian and open up your new Linux OS running as a Windows Subsystem! Installation should begin automatically. Let’s configure your Debian operating system! You will be prompted to enter a Linux username and password. 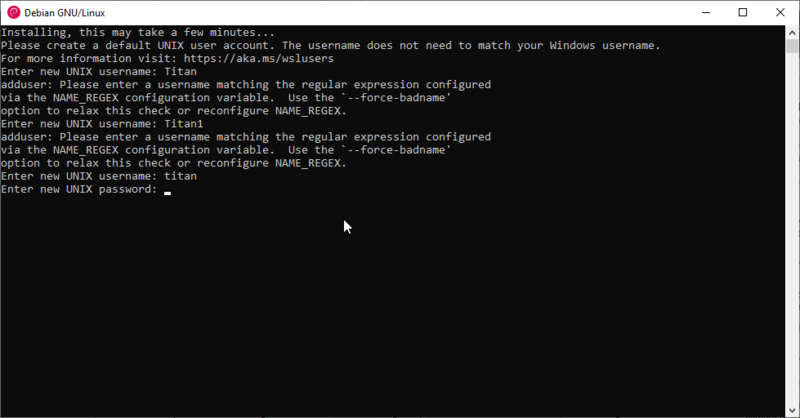 If you get the message “adduser: Please enter a username matching the regular expression configured”, try simplifying your Unix username. Once the username and password has been created, a prompt similar to titan@DESKTOP-1100293 (user@hostname) will appear and you are read to begin using the Windows Subsystem!